6th book 'Billy the ball's woodland treasure hunt' is now available! 'Billy the ball's woodland treasure hunt' is out now! Billy and friends visit the Bounce Town woodland adventure park and enjoy a woodland treasure hunt, but what will they find along the way? The latest adventure from Billy the ball is a very festive one! 'Billy the ball's Christmas wish' sees Billy and all his friends having a very special Christmas! This book is also available as a colouring book for all you festive doodlebugs! See the 'Buy a book' page for more details. I am very very happy to announce that the wonderful Charlotte (aka ASMR Angel) has done a fantastic book read-through on YouTube! Charlotte was brilliant and gave all the characters great accents and read it really really well. It really brings the books to life to hear them read aloud. 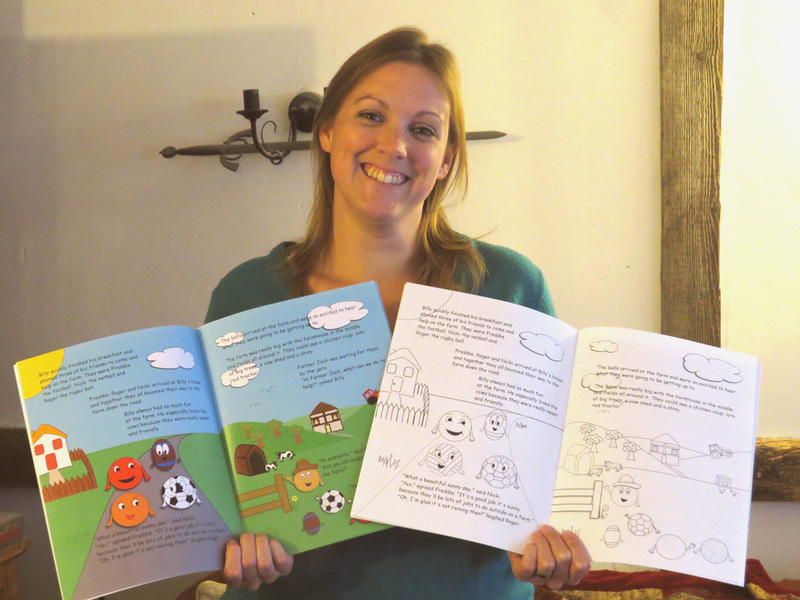 Charlotte also announces in the video that she is running a giveaway for your chance to win 1 of 3 Billy the ball books! ​Here's the link to the video - happy viewing! 'Billy the ball's space adventure!' is now available from the 'buy a book' page....more information on the 'info' page. The fourth Billy the ball book is currently with the editors. We also have a website currently under construction. How exciting!! Living the self publishing dream! Grab your pencils, crayons and pens! 'Billy the ball down on the farm' is now available as a colouring book! Fun for all ages. Only £3.75.